April 27, 6:30, Peacham Knitters — Bring your knitting or other handwork for an evening of creativity and chatting. May 1, 10am-noon, Coffee Hour – join us for a cup of coffee or tea, a sweet or two and good conversation. Suitable for all ages! 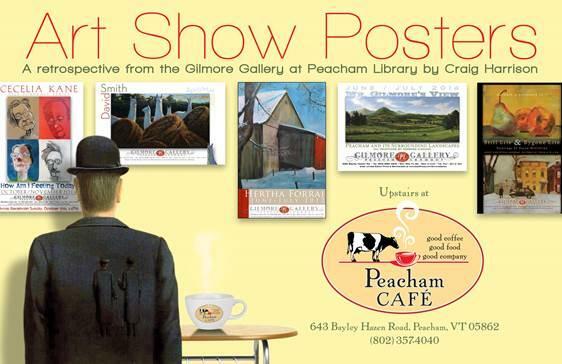 May 3, 4-6pm, Artist Reception at Peacham Cafe — Drop by Peacham Cafe to a) welcome back Ariel, Crystal, coffee and good food in Peacham, b) view Craig Harrison’s Gilmore Gallery posters, and c) support both Peacham Cafe and Peacham Library with a donation. 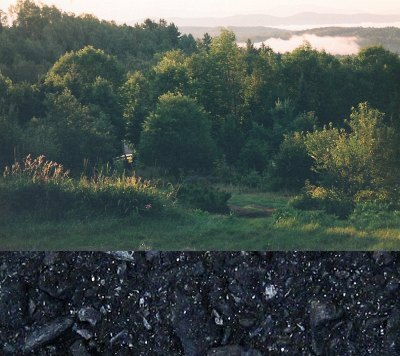 May 7, 7pm, Biochar with Michael Low — An evening talk with Peacham’s Michael Low, who will explain the process they use at Green Fire Farm to make Biochar and go on to tell you why you, too, might want to use Biochar to enrich your soil and grow better plants. As a teaser — Biochar is ‘Char’coal produced from wood or plant ‘Bio’mass. This charcoal will absorb nutrients like a sponge, holding them in the soil near the plants for an incredibly long time. May 8, 10am-noon, Coffee Hour – join us for a cup of coffee or tea, a sweet or two and good conversation. Suitable for all ages! May 9, 1pm, Herb Club — This year Herb Club will be featuring a seasonally appropriate herb of the month. Stay tuned for this month’s herb! May 11, 6:30, Peacham Knitters — Bring your knitting or other handwork for an evening of creativity and chatting. Spinners, ply-splitters, quilters and all fiber artists are welcome! We will also have a jigsaw puzzle for those who like to chat and work on puzzles. May 11, 7pm, Board Meeting – Meetings are open to the public. May 12, 7pm, Panel Discussion on Autism — Pediatrician Dr. Josh Kantrowitz, Special Educator Andrea Wasson, and Psychologist Dr. Judith Markey form this panel to provide information about autism, diagnosis, effective interventions / treatments and community supports. This multidisciplinary forum hopes to begin effective professional collaboration in our community as we support individuals with autism and their families. May 15, 10am-noon, Coffee Hour – join us for a cup of coffee or tea, a sweet or two and good conversation. Suitable for all ages! May 16, 10am, Story Time — NOTE the later start! – Stories and activities for the young at heart. 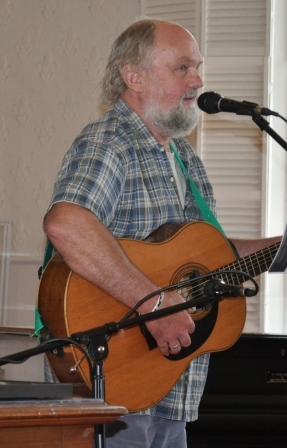 May 16, 7pm, Concert with Alan Greenleaf and The Doctor — Peacham’s own “folk” duo present a fundraising concert in support of Peacham Library, held at Peacham Congregational Church. Come out for an evening of music from the Kingdom and support the library.